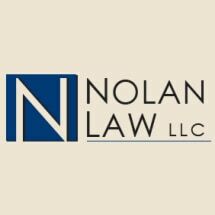 At the Toledo, Ohio, Law Office of Nolan Law, LLC we help our clients successfully meet a wide variety of legal challenges, both in their families and in their businesses. Our family law experience ranges from the joyful challenges of adoption, to the emotionally difficult transitions involved in divorce. Whatever the family matter, our law firm works closely with all of our clients to ensure that our advice is tailored to their specific situations. We draw on our founder's experience as a large-firm business lawyer when advising our business clients regarding difficult matters affecting their businesses' day-to-day operations, including complicated corporate formation questions. We maintain a particular niche in land use and zoning, especially with regard to representing citizens' groups concerned about wind turbines. We know that our clients, whether businesses or families, are looking for a firm with client-centered engagement options. We take great pride in offering our clients large-firm experience at small-firm rates. Contact us today to learn more about how our law firm can work with you to build a custom client arrangement that best fits your legal and budgetary needs. Schedule an appointment with Nolan Law, LLC to discuss your matter by calling 419-442-7785. You can also contact our firm online. All communications between potential clients and our firm remain entirely confidential. Josh Nolan is not only a gentleman but a true professional. Over the years he has helped us and our investors in a variety of legal requirements pertaining to our various real estate endeavors. He has also assisted me with personal legal matters. I highly recommend his services.